Christiana is a world-class, professional reader and advisor. She provides her services to people just like you, located just about everywhere. Christiana performs all of her readings personally. You will never be rescheduled with someone else. Your session can be recorded, and you can choose to download the recording from our secure Dropbox server, or receive a CD recording in the postal mail. There is no additional charge for the recording. You can meet Christiana personally at her home office if you are in the Palm City, Florida area. If you prefer, you can choose a telephone session, or a FaceTime, Skype or Messenger video session. The easiest way to schedule your appointment is to call 866-998-2768 or call or text 561-655-1160. If you prefer you can book using our online scheduling system. 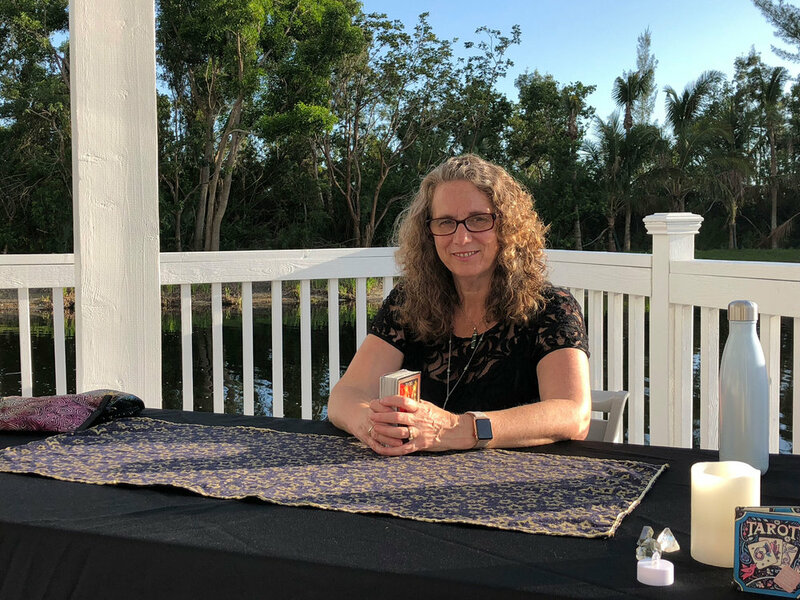 Christiana is available for house or office parties and appearances, and for house calls in the Treasure Coast area, and in other places around the country during tours. If you are interested in hosting a party or having Christiana entertain at your event, please call for more information. 15 Minute Session: Perfect for the individual with a single question or concern. 30 Minute Session: Includes a brief general reading as well as time to explore several questions. 60 Minute Session: A general reading followed by an intensive exploration of your situation and relationships. Prorated Session: Not sure how much time you need? Try a prorated session. You only pay for what you need. Schedule a prorated session if you feel you will need more than an hour to cover your concerns.